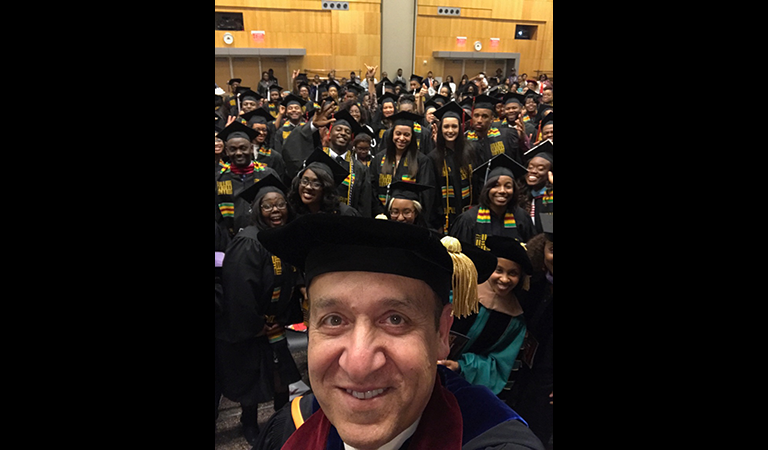 Chancellor Nasser H. Paydar takes a selfie with graduates prior to the IUPUI 2017 Celebration of Black Graduates. 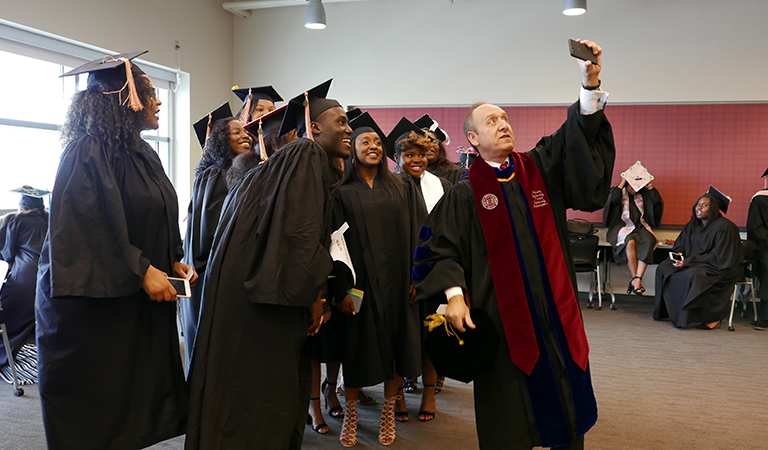 Fairbanks School of Public Health made a special request for a Paydar selfie at the IUPUI 2017 Celebration of Black Graduates. 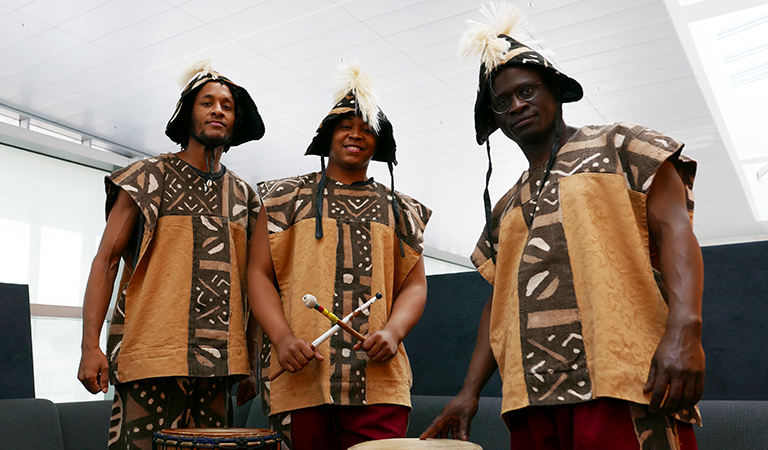 Sankofa Faré Drum Ensemble Percussion Director Varnie N'jola Karmo (right) and ensemble members prior to the IUPUI 2017 Celebration of Black Graduates. 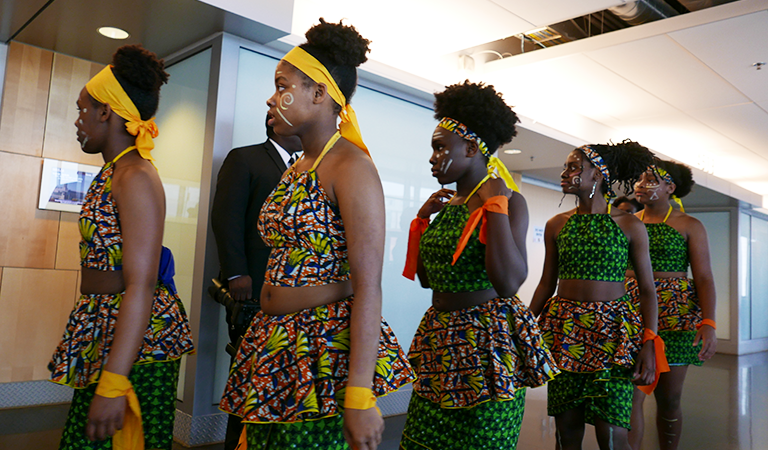 Members of the Sankofa Faré Children's Dance Ensemble get ready to perform at the IUPUI 2017 Celebration of Black Graduates. 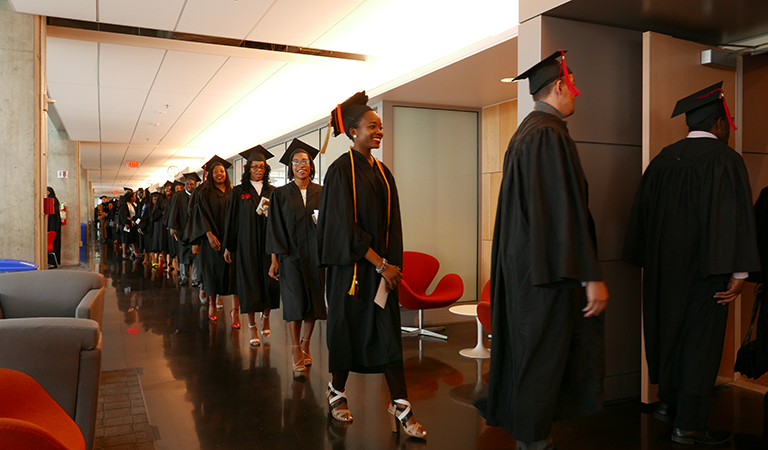 The procession of graduates starts the ceremony at the IUPUI 2017 Celebration of Black Graduates. 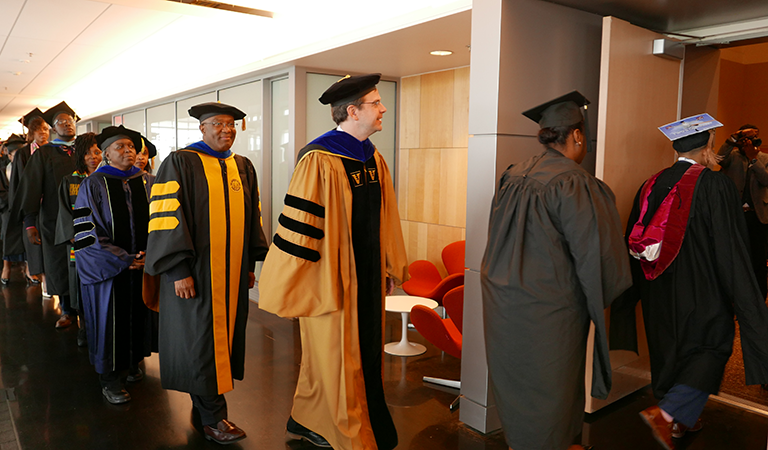 Former Dean of the School of Health and Rehabilitation Sciences (in robe with orange stripes) returns for the IUPUI 2017 Celebration of Black Graduates upon the graduation of his son. 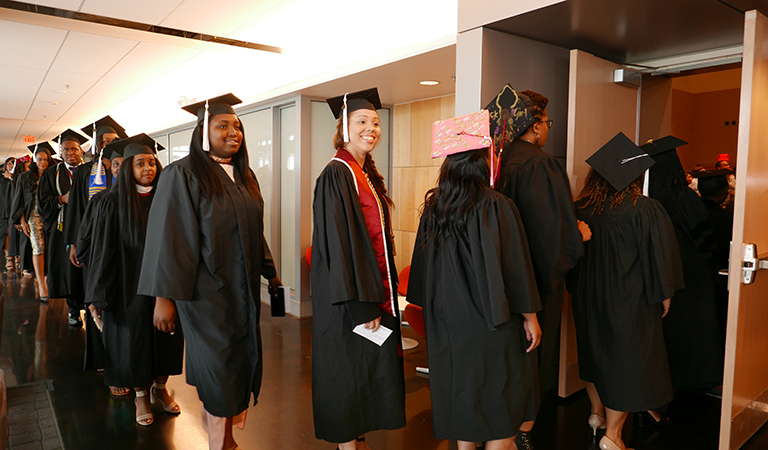 The procession of graduates continues at the beginning of the ceremony at the IUPUI 2017 Celebration of Black Graduates. 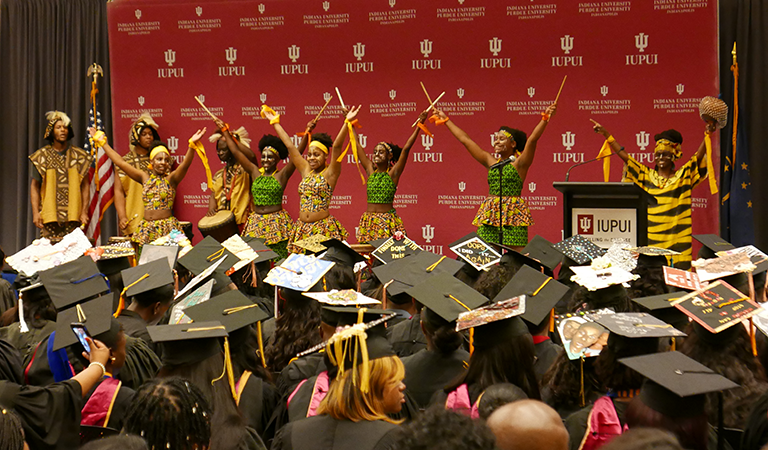 Members of the Sankofa Faré Children's Dance and Drum Ensemble perform at the IUPUI 2017 Celebration of Black Graduates. 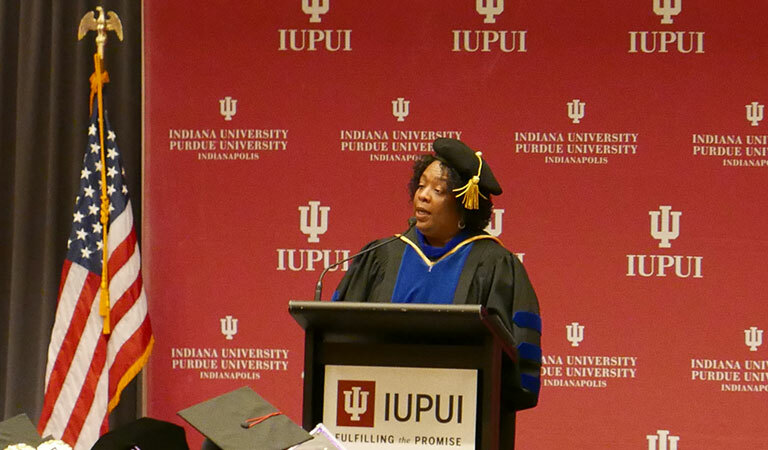 Vice Chancellor for Diversity, Equity and Inclusion Karen Dace breaks down the positive and negatives of different leadership styles at the IUPUI 2017 Celebration of Black Graduates. 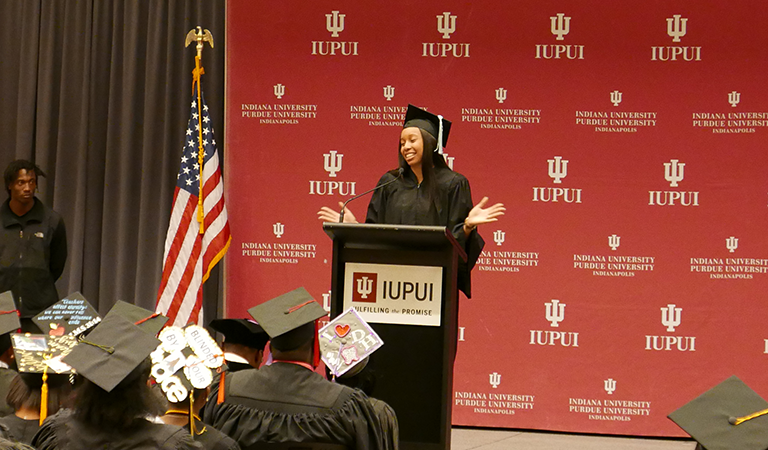 Graduate Brianna Membres, IU School of Education, introduces Chancellor Paydar at the IUPUI 2017 Celebration of Black Graduates. 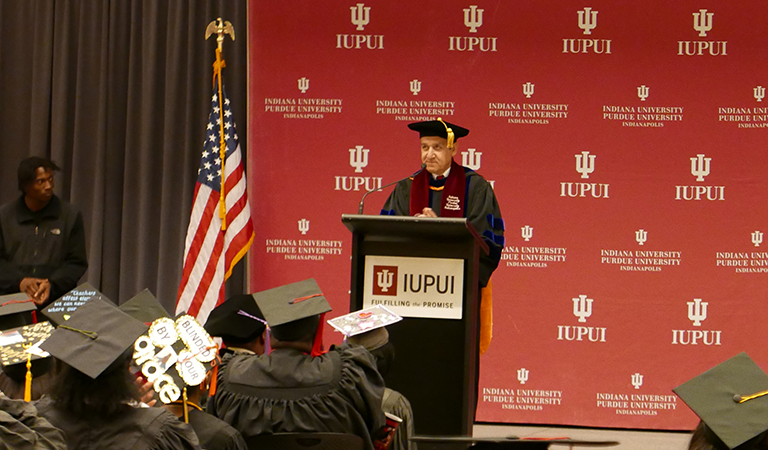 Chancellor Paydar celebrates mentorship, community, determination, and love in his remarks at the IUPUI 2017 Celebration of Black Graduates. 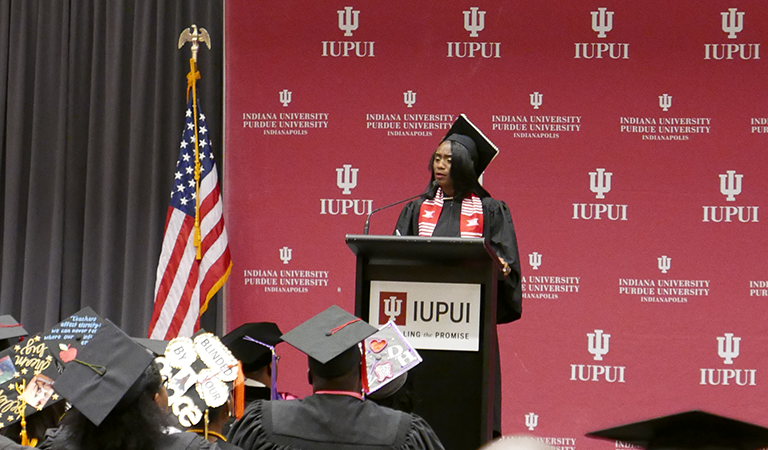 Undergraduate Keynote Speaker Lashata Grayson, School of Public and Environmental Affairs, at the IUPUI 2017 Celebration of Black Graduates. 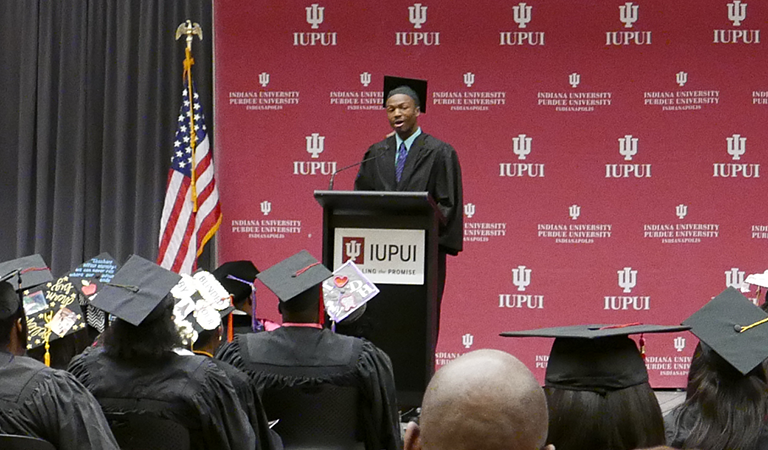 Undergraduate Keynote Speaker Frederick Olaleye, Kelley School of Business, at the IUPUI 2017 Celebration of Black Graduates. 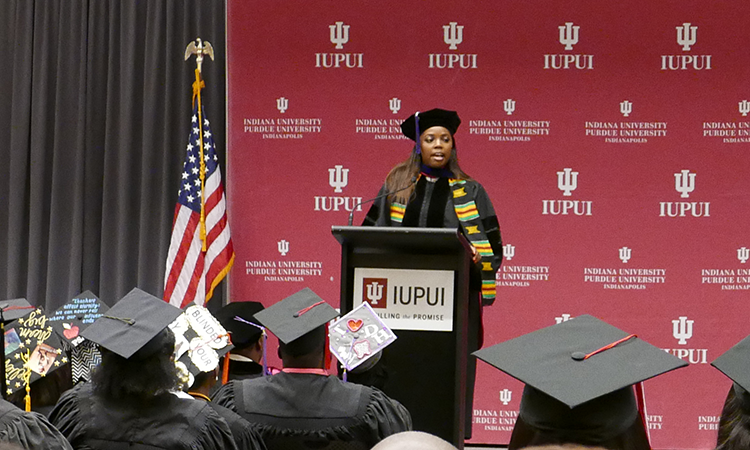 Graduate Keynote Speaker Nicole Burts, McKinney School of Law, at the IUPUI 2017 Celebration of Black Graduates. 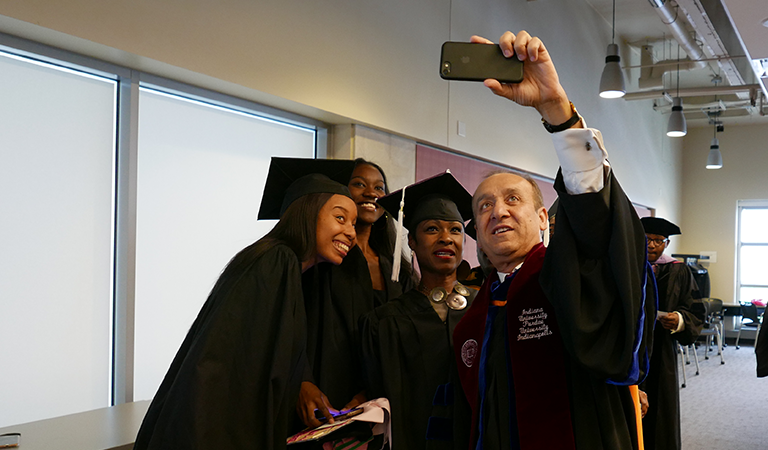 Chancellor Paydar takes a selfie with graduates at the IUPUI 2017 Celebration of Black Graduates.